We are Stockist suppliers of Aluminum alloy plates, bars as per our client requirements in various sizes grades as use by Marine Industries. We procure it from reputed and trustworthy manufacturers and our materials are of excellent quality and fulfill all requirements as demanded by marine industries. Aerospace materials are materials, frequently metal alloys, that have either been developed for, or have come to prominence through, their use for aerospace purposes. 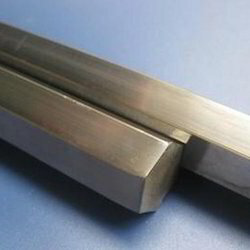 High temperature alloys and titanium alloys, are widely used in the hi-tech fields such as high temperature service components of engines for different types of missiles and rockets , engine parts of Shenzhou series spacecraft, engine parts of new type missile, the combustion chamber of rockets. We are Stockist & suppliers of Aluminum alloy plates, bars as per our client requirements in various sizes & grades as use by Marine Industries. We procure it from reputed and trustworthy manufactures and our materials are of excellen quality and fullfill all requirements as demanded by marine industries. We are the leading manufacturer in this category. Strictly following the research modules of our skilled professional, we are involved in manufacturing and exporting Nickel Round Bar at a large scale. 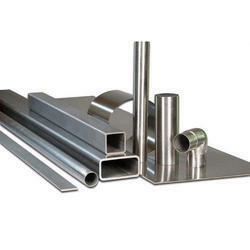 These bars are well polished which has the capacity to face the extreme conditions. Bombardier has been an aircraft OEM of choice in recent years for the Indian corporate and charter aviation sector. Bombardier has entrusted the maintenance of its range of aircraft in India with Air Works and appointed it as the “Authorized Line & AOG Facility in Mumbai to cater for the Indian market.